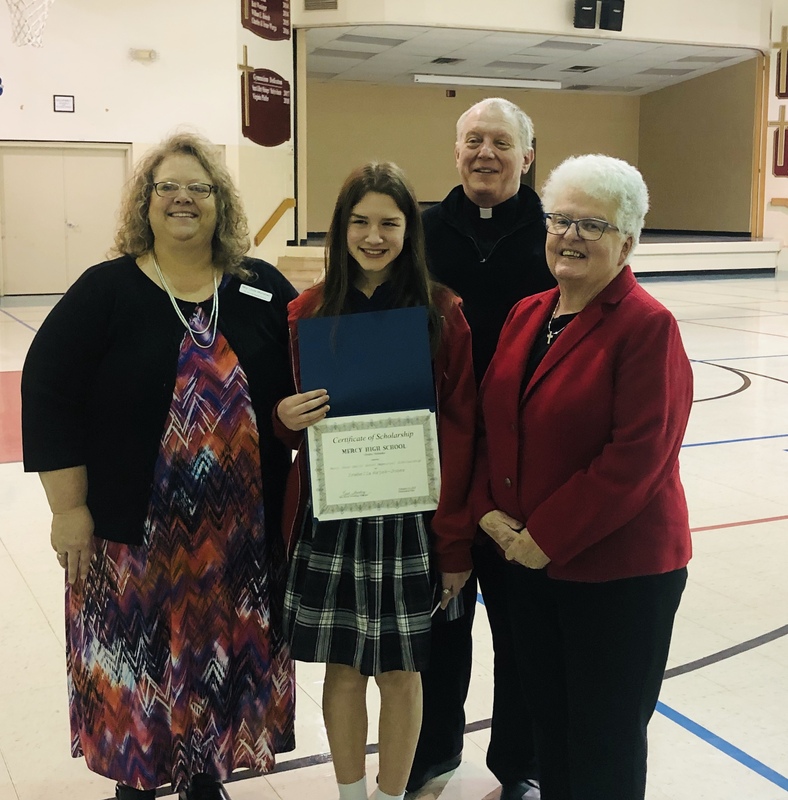 St. John’s eighth grader Isabella Hajek-Jones was awarded the Mary Jane Gerat Memorial Scholarship from Mercy High School at a school assembly today. Mercy High School President Sister Delores Hannon presented Isabella with a scholarship certificate. Isabella will be attending Omaha’s Mercy High School next year. The academic scholarship is awarded to incoming students based on the results of their Scholarship Placement Exam.